Off The Grid Organic Winery. 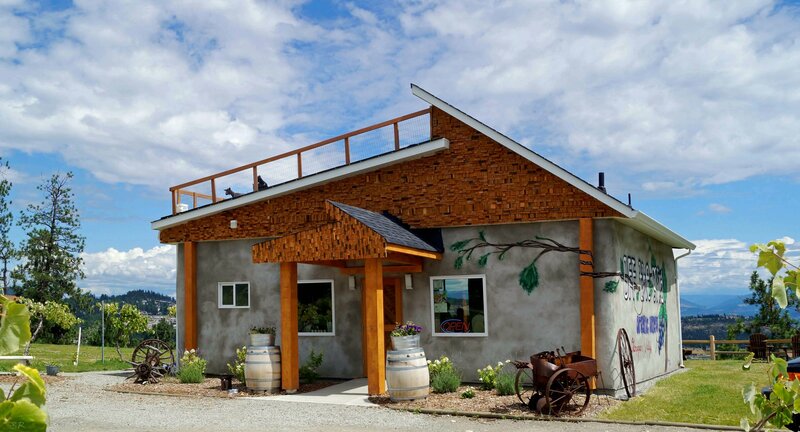 This is a family owned and operated organic winery with goats on the roof! The winery and grounds offer beautiful sweeping views of Westbank Centre and there are picnic tables with shade. During the high season, a food truck is on site. The winery is also able to host weddings.